The Evans TT18HR Hydraulic Red Tom Batter Head 18" is a tom batter head with a diameter of 18" made from double-ply 7mil film with a smooth finish. 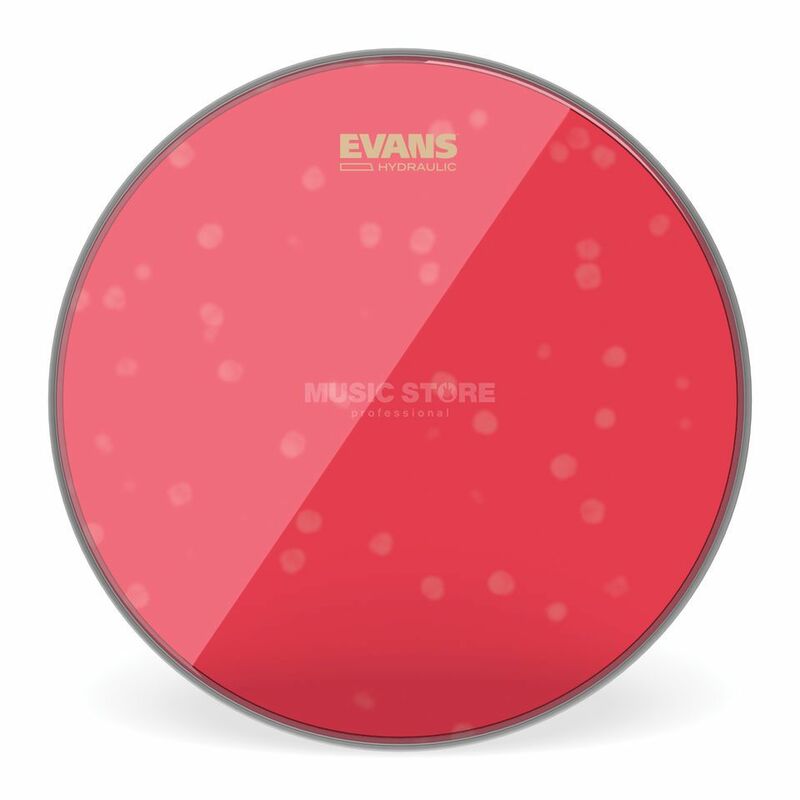 The Evans Hydraulic Red series features a thin film of oil between two layers of 7-mil film. This combination offers maximum durability along with a fat, deep and short sound reminiscent of early 70's rock and roll. Hydraulic drum heads are particularly easy to tune. Evans Level 360 Technology is also included, which extends the level playing surface of the drumhead to 360 degrees around the drum. The vertically enhanced collar design guarantees an even contact with the critical bearing edge of the drum shell, resulting in easy tuning, an extended pitch range, and an optimum quality of sound.